3716 E 82nd Street, Indianapolis, IN 46240 Luciana's offers Mexican cuisine with top menu items that include the Guacamole Mexicano, Arroz con Pollo, and Queso. 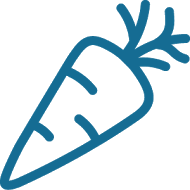 Order online with fast delivery to your door! 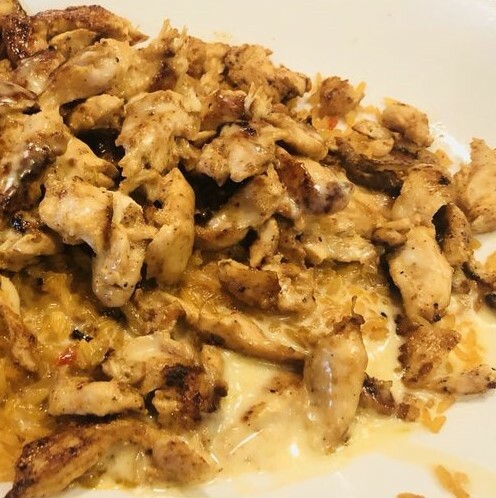 Grilled chicken over rice and covered in our delicious queso; served with choice of tortilla. Two eggs scrambled with chorizo; served with rice, beans, and your choice of tortilla. Two eggs and salsa roja on top of a tostada. Served with rice and beans and choice of tortilla. 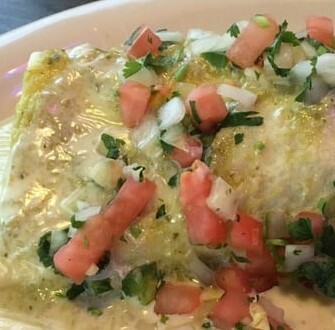 A soft flour tortilla filled with tender cuts of our famous marinated pork, topped with melted cheese, salsa verde, and pico de gallo. Grilled chicken and rice covered in queso dip. Served with choice of tortillas. A fried chicken burrito served with beans, lettuce, tomato, sour cream, and mild sauce. A lunch sized portion of steak or chicken fajitas. A lunch sized portion steak, chicken, and shrimp fajitas. A lunch sized portion shrimp fajitas. A lunch sized portion with mushrooms, onion, peppers, and tomatoes. 8 Juicy shrimp served with pico de gallo and avocado in cocktail sauce made with tequila. 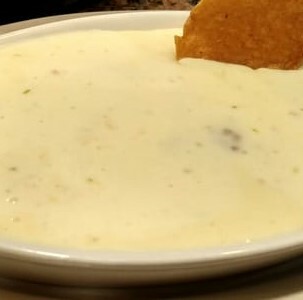 A bowl of queso dip with chorizo and jalapenos. 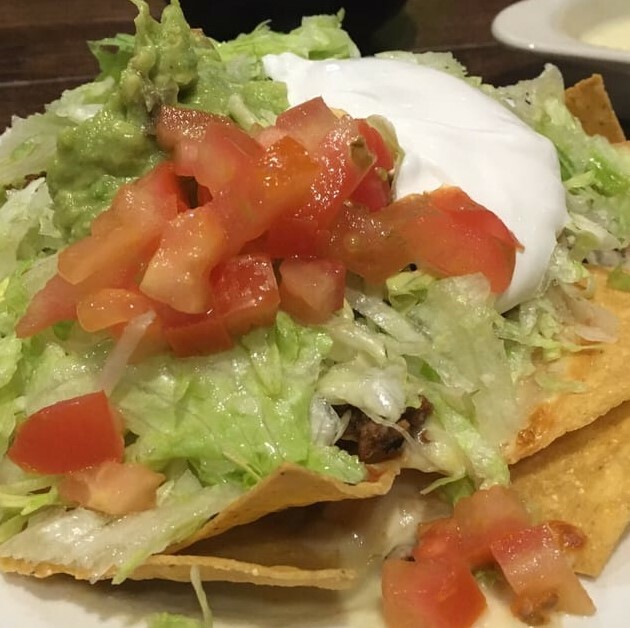 Choice of chicken or ground beef, topped with lettuce, tomatoes, sour cream, and guacamole. 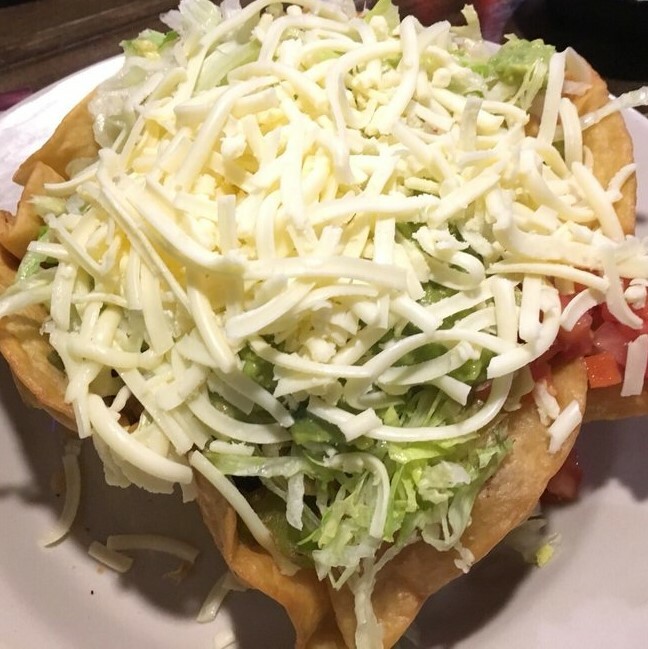 Tortilla chips topped with shredded chicken, shrimp, queso, lettuce, shredded cheese, sour cream and tomatoes. Steak, chicken, and shrimp on a bed of tortilla chips topped with queso. 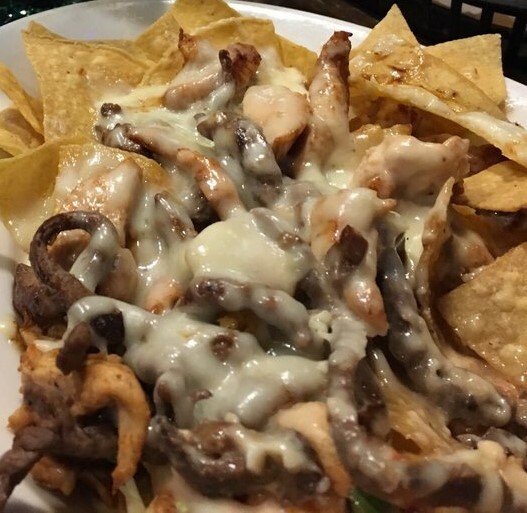 Grilled steak or chicken cooked with sauteed green peppers, tomatoes, and onion over tortilla chips topped with queso. Lettuce, beans, tomatoes, cheese, sour cream and guacamole. 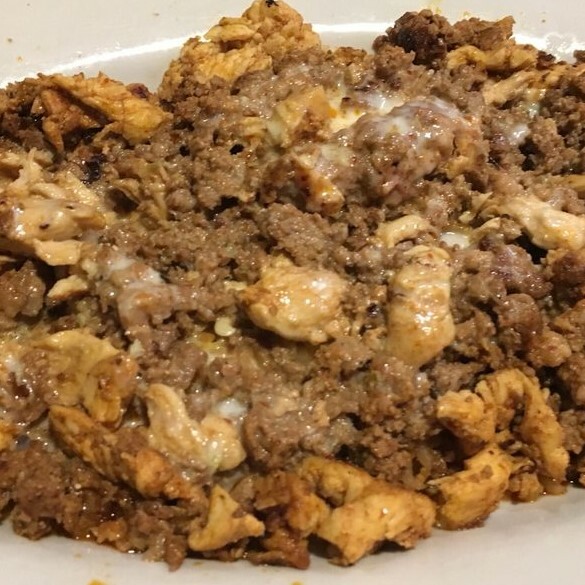 Your choice of meat: ground beef, chicken, or beef tips, served in a crisp flour shell. Lettuce, beans, pico, guacamole, and sour cream. 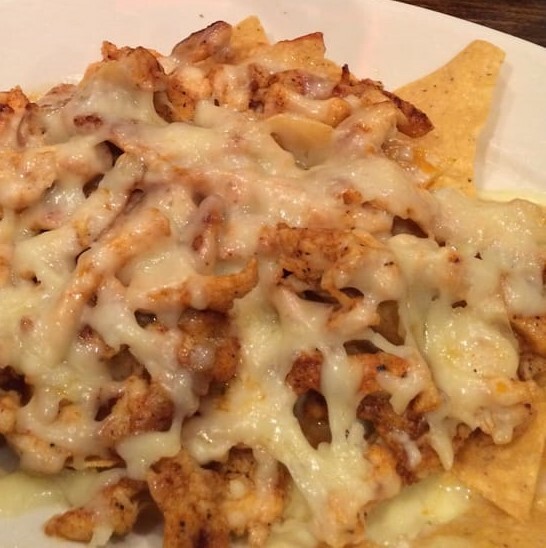 Topped with your choice of: chicken or steak, grilled with sauteed bell peppers, tomatoes, onions and topped with shredded cheese and served in a crisp flour shell. 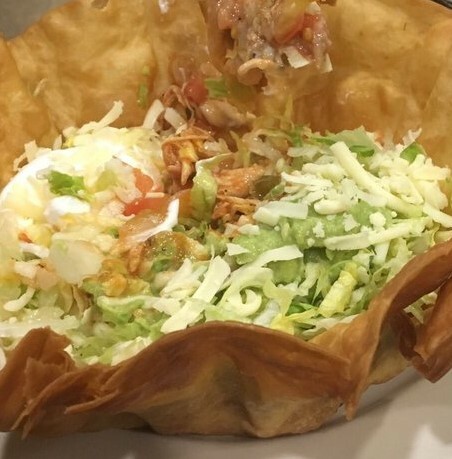 Lettuce, beans, guacamole, pico, sour cream, chicken, steak, and shrimp grilled with sautéed bell peppers, onions, and tomatoes served in a crisp flour shell. 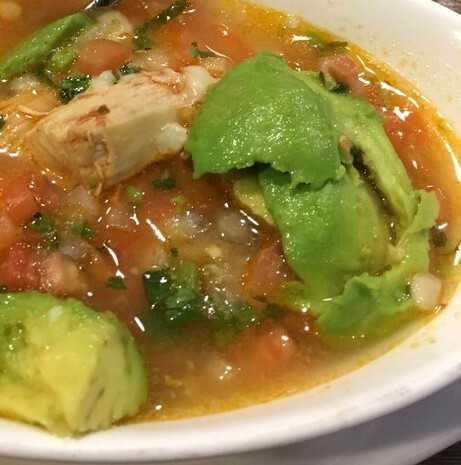 Our delicious homemade chicken soup with rice, avocado, pico, and tortilla chips. Tender slices of marinated steak or grilled chicken with sautéed vegetables; served with lettuce, sour cream, pico, guacamole. Marinated shrimp grilled with sautéed vegetables; served with lettuce, sour cream, pico and guacamole. Tender marinated steak, grilled chicken and shrimp with sautéed vegetables; served with lettuce, sour cream, pico and guacamole. Marinated chicken and ham grilled with pineapple, bell peppers, onions and tomatoes. Topped with shredded cheese. Served with lettuce, sour cream, pico and guacamole. 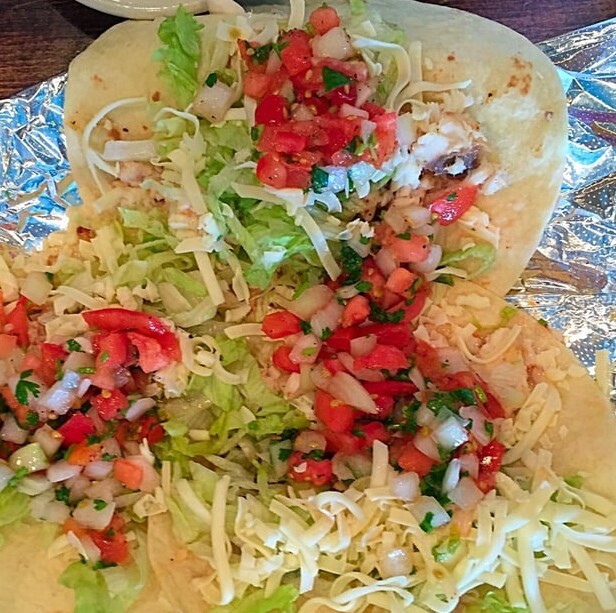 Flour tortillas filled with grilled tilapia, topped with shredded cheese, lettuce and pico. Served with a side of rice. 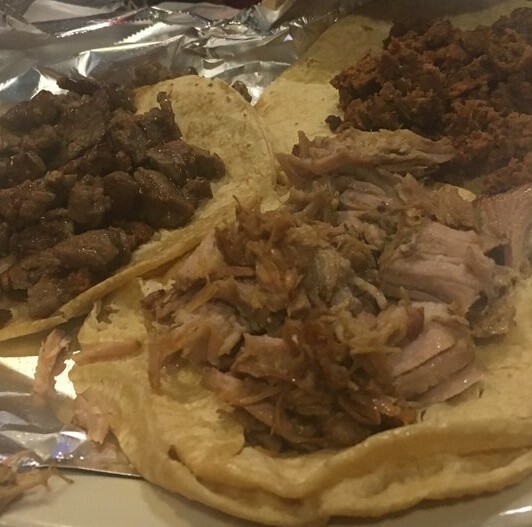 Corn tortillas filled with our famous marinated pork. Served with a side of pico, our spicy tomatillo salsa, rice and refried beans. 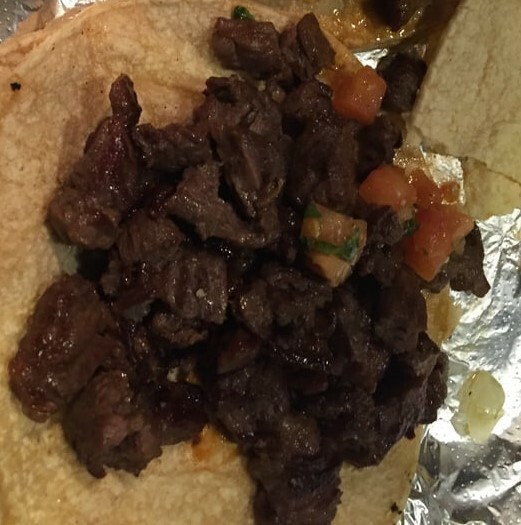 Corn tortillas filled with tender cuts of grilled skirt steak. Served with a side of pico, our spicy tomatillo salsa, rice and refried beans. 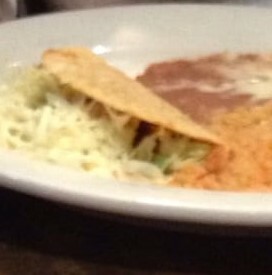 Two flour tortillas filled with shrimp and topped with shredded cheese, lettuce, and pico; served with a side of rice. Corn tortillas filled with chile marinated pork and pineapple, topped with cilantro and onions. Served with rice and refried beans. One steak, one carnitas, and one with our housemade chorizo, a side of pico, and our spicy tomatillo salsa. Served with rice and beans. 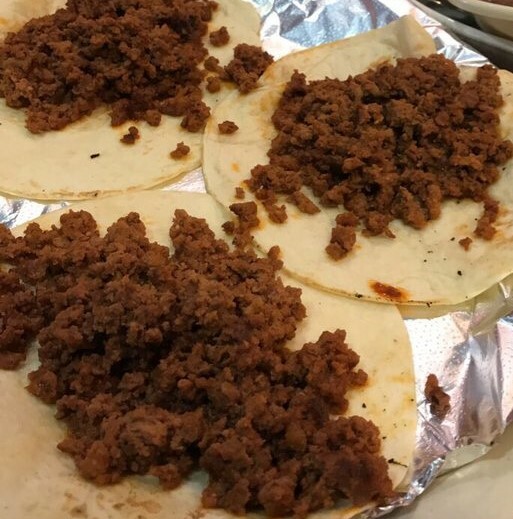 Corn tortillas filled with our homemade chorizo, topped with cilanto and onions. Served with our spicy tomatillo salsa, rice and refried beans. One flour tortilla filled with grilled shrimp, scallops, crab meat, grilled onions, mushrooms, and tomatoes deep-fried and covered in queso. Served with beans, lettuce, tomato, sour cream, and guacamole and a side of rice. 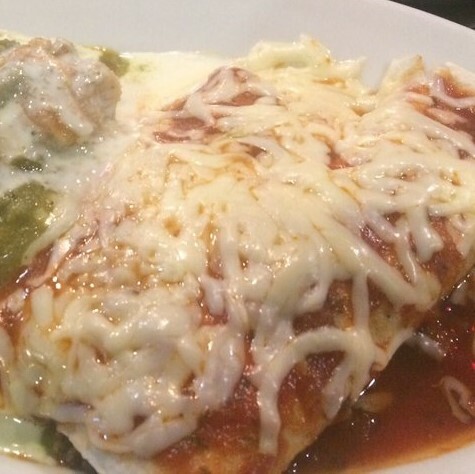 Two flour tortillas filled with choice of ground beef, shredded beef or chicken covered with queso and red sauce. Topped with lettuce, tomatoes, sour cream and guacamole. Served with a side of beans. Two deep-fried flour tortillas filled with shrimp and covered with queso and red sauce. Topped with lettuce, tomatoes, sour cream, and guacamole. Served with a side of beans..
Two grilled shrimp burritos covered with queso and pico; served with rice and beans. 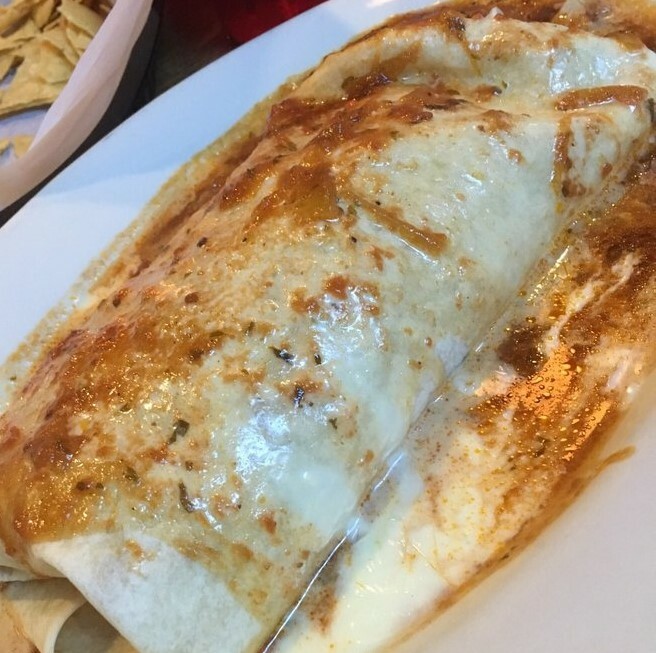 Grilled chicken or steak burrito stuffed with beans and rice, topped with queso and red sauce. Two burritos filled with beef tips and beans, topped with red sauce, queso, lettuce, tomatoes, sour cream and guacamole. A burrito stuffed with marinated pork carnitas, rice and beans, and topped with queso, salsa verde and pico. 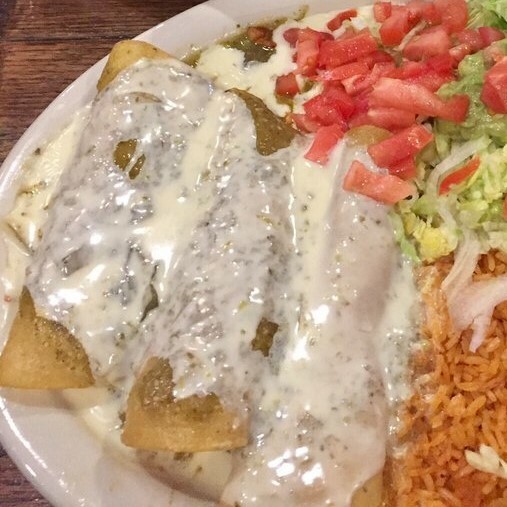 Two deep-fried chicken burritos topped with sour cream and melted cheese; served with rice. Two burritos: one chicken and one ground beef, filled with beans, topped with red sauce, lettuce, tomatoes and sour cream. Burrito stuffed with ground beef, refried beans and shredded cheese, then grilled to perfection. Served with salsa verde on the side. Three enchiladas;one cheese, one shredded chicken, one bean, topped with red sauce, lettuce, sour cream and guacamole. Served with rice or beans. Three grilled chicken enchiladas covered with salsa verde and queso, lettuce, tomatoes, sour cream and guacamole on the side. Served with rice. Five enchiladas, one cheese, one shredded chicken, one bean, one ground beef and one shredded beef; topped with lettuce, sour cream and red sauce. Three shredded chicken enchiladas covered with queso, lettuce, tomatoes, sour cream and guacamole. Served with rice and beans. Three deep-fried chicken enchiladas covered with queso. Served with lettuce, sour cream, tomatoes and guacamole. Served with rice. Three shrimp enchiladas covered with queso, lettuce, tomatoes, sour cream and guacamole. Served with rice and beans. Three chicken enchiladas fried then covered with salsa verde, black beans, sour cream, Cotija cheese and sliced avocado. Served with rice. 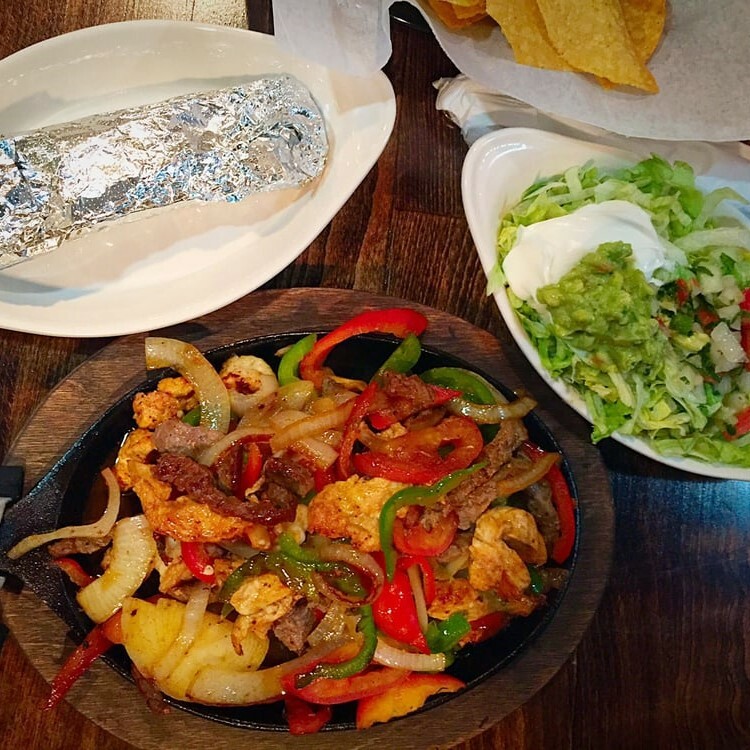 Your choice of steak or chicken in a large flour tortilla stuffed with sautéed vegetables and cheese. Cheese quesadilla stuffed with your choice of ground beef, beef tips, or shredded chicken. Served with beans, lettuce, tomatoes, sour cream and guacamole. 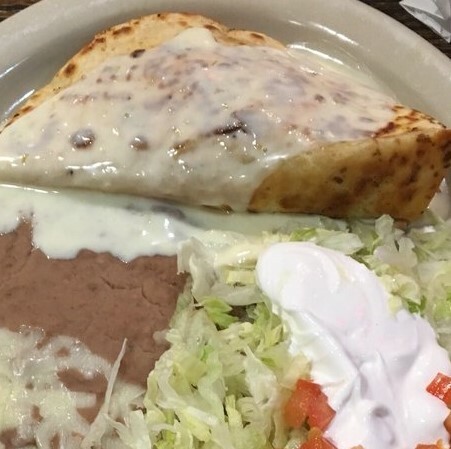 Choice of grilled chicken or steak in a flour tortilla topped with queso. Served with lettuce, tomatoes and sour cream. Your choice of rice or beans. 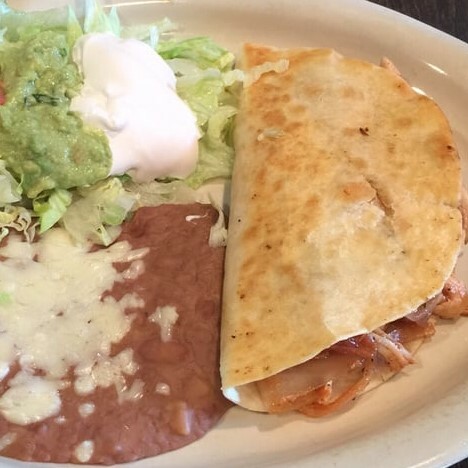 Your choice of grilled chicken, shredded chicken or steak and cheese quesadilla covered with beans and queso. Served with rice. Cheese quesadilla stuffed with grilled steak, chicken, shrimp and vegetables topped with queso. Served with lettuce, tomatoes, sour cream and guacamole. 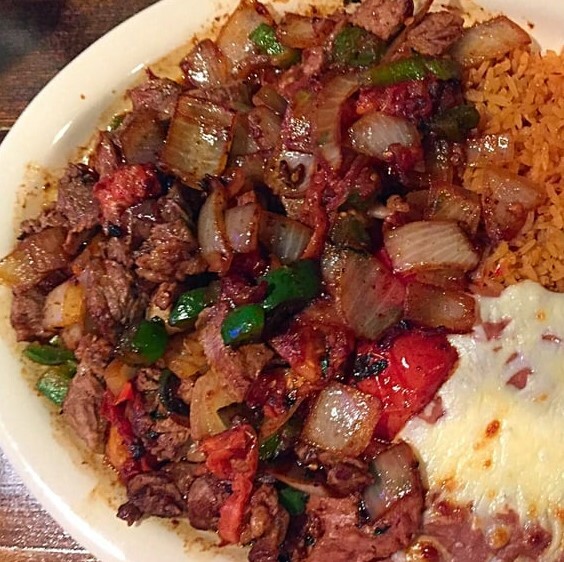 Tender cuts of ribeye sauteed with jalapenos, onions, peppers, and tomatoes; served with rice, beans, lettuce, tomato, sour cream and guacamole. 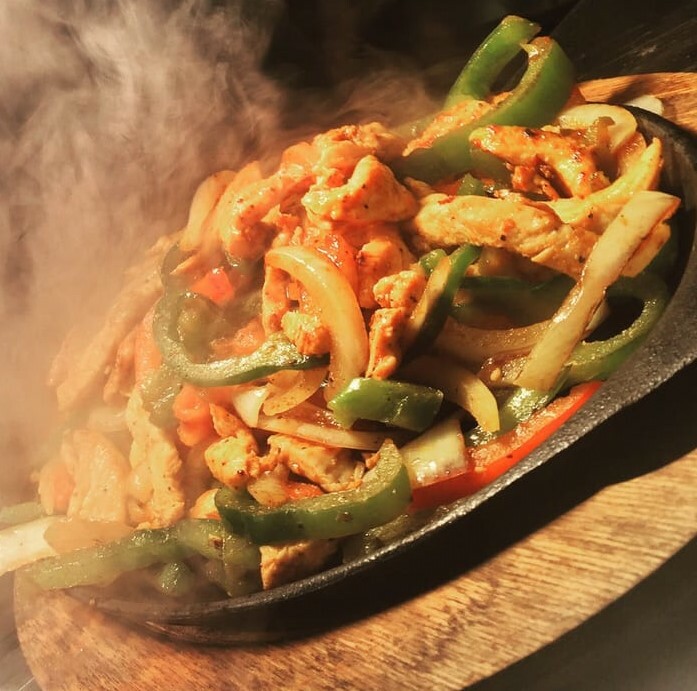 Delicious chicken breast topped with sautéed vegetables and melted cheese; served with rice, lettuce, pico de gallo and guacamole. 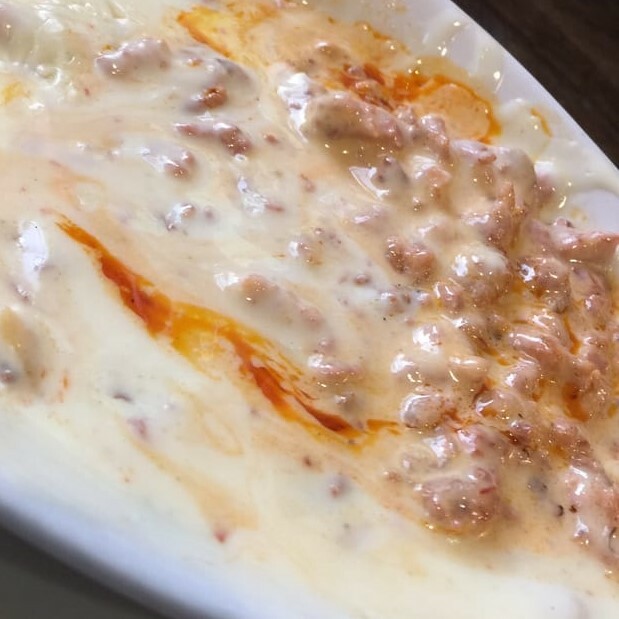 Grilled chicken and chorizo served over rice and covered in our delicious queso. 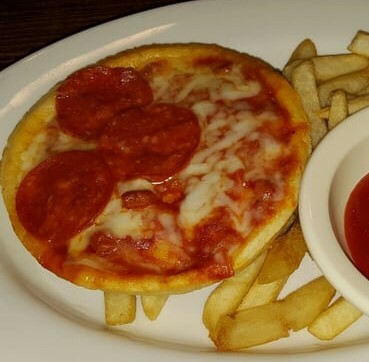 Served with choice of tortilla. 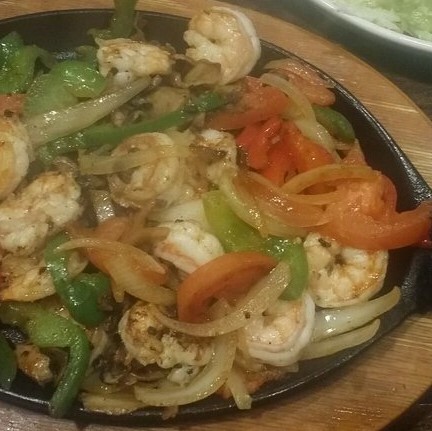 Sauteed buttered shrimp and onions cooked in Diablo spicy sauce served with rice, lettuce, avocado and pico. Sauteed garlic buttered shrimp and onions served with rice, lettuce, avocado and pico. A delicious grilled chicken breast served with lettuce, tomatoes, guacamole, sour cream, rice, and your choice of tortilla. 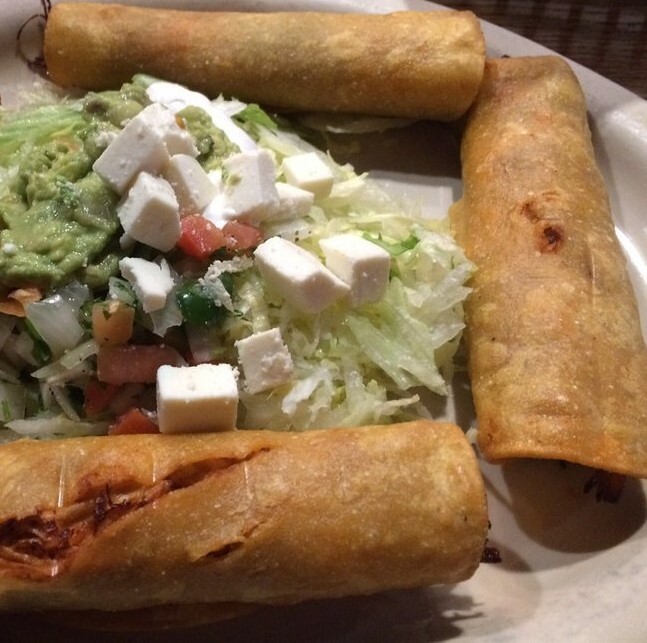 Two beef and two chicken flautas (corn tortilla filled with meat and fried crispy), served with lettuce, tomatoes, sour cream, guacamole. 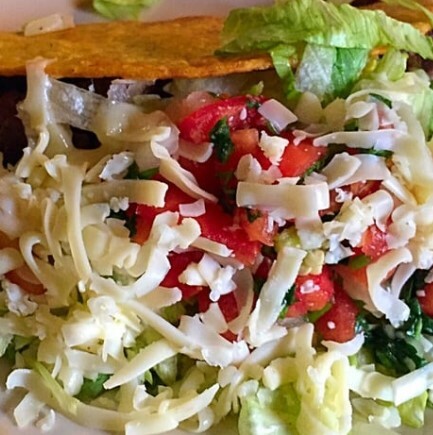 A tender cut of marinated skirt steak served with rice, beans, lettuce, tomatoes, sour cream and guacamole. 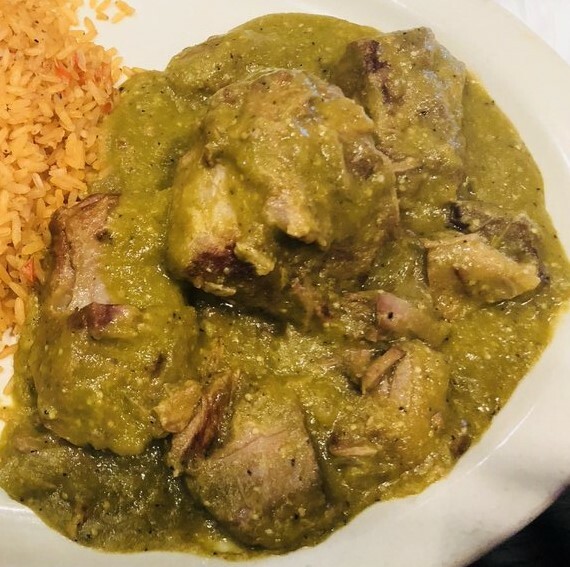 Tender chunks of our famous marinated pork smothered in housemade salsa verde. Served with rice, beans, lettuce, tomatoes, sour cream and guacamole. 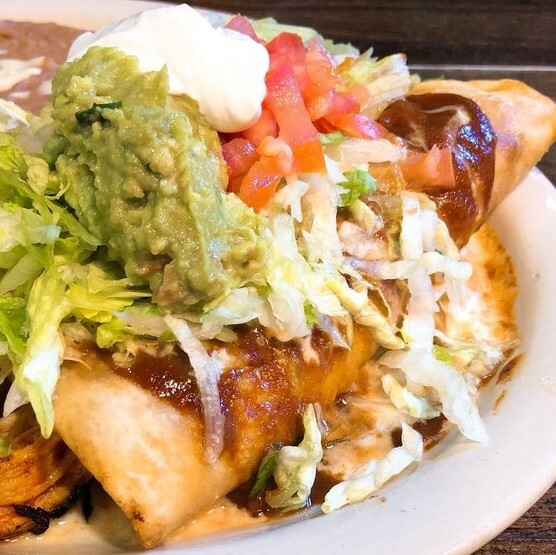 Grilled chicken sautéed with onions, bell peppers, and tomatoes then smothered in our special sour cream sauce; served with lettuce, tomatoes, sour cream and guacamole. 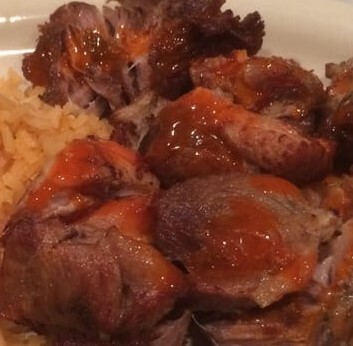 Tender chunks of our famous marinated pork served with rice, beans, lettuce, tomatoes, sour cream and guacamole. One flour tortilla stuffed with your choice of steak, pork, or chicken with sauteed onions and queso. 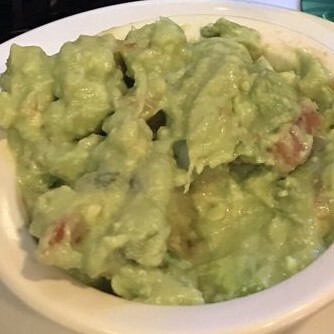 Served with lettuce, guacamole, sour cream, pico and your choice of rice or beans. Fried corn tortillas bathed in green salsa, served with cecina beef and black beans, topped with sour cream and Cotija cheese. One chicken tamale, one burrito, and one enchilada. One Burrito, one taco; served with rice and beans. Two chicken tamales; served with rice and beans. Two chiles poblanos; served with rice and beans. Does not come with a drink. Tortilla chips topped with queso, black beans, roasted corn, pico and guacamole. Three tacos with black beans, roasted corn and lettuce, topped with pico. 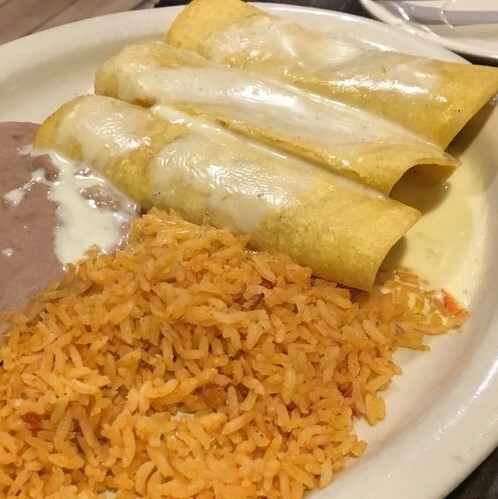 Served with choice of rice or refried beans on the side. Sautéed bell peppers, onions, zucchini and tomatoes served in a crisp flour shell. Topped with refried beans, lettuce, pico sour cream and guacamole. Large flour tortilla stuffed with black beans, sautéed bell peppers, onions, zucchini, mushrooms and tomatoes. Topped with red sauce and queso. Sautéed bell peppers, onions, zucchini, mushrooms and tomatoes. Served with lettuce, sour cream, pico and guacamole. Choice of corn or flour tortillas. Cheese quesadilla stuffed with sauteed vegetables. Served with lettuce, sour cream, pico, guacamole and beans. 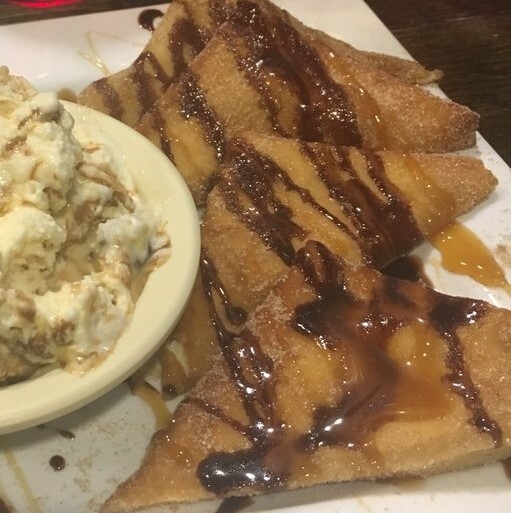 **Order at your own risk of melting during delivery** Ice cream scoop coated in crushed sopapillas, drizzled with honey and chocolate and topped with whipped cream. 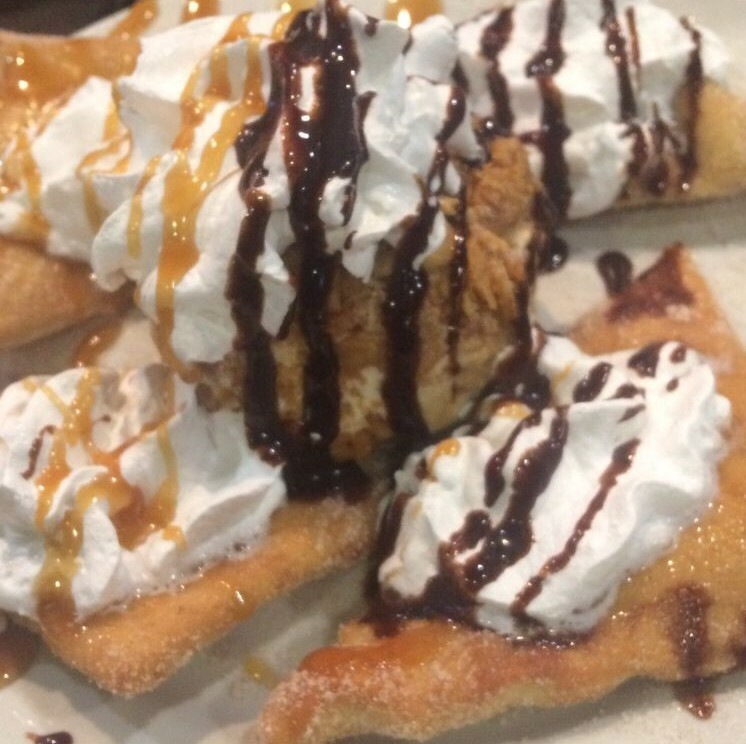 Fried pastry drizzled with honey and chocolate, topped with whipped cream. Smooth, thick custard with a caramel topping.